One year ago, Virginia became the first school to ever lose as a #1 seed to a #16 seed in the NCAA Tournament. Not only did that, they were the overall #1 seed. Not only that, they lost by 20 convincing points. It wasn’t even close. I wrote about it last year – https://www.characterandleadership.com/win-class-lose-class/. This year, Virginia entered the NCAA Tournament as a #1 seed. They were 14 points down to another #16 seed in the first round and came back to win. They beat Purdue in the round of 8 with a last second shot. They beat Auburn by one point to advance to the final game. 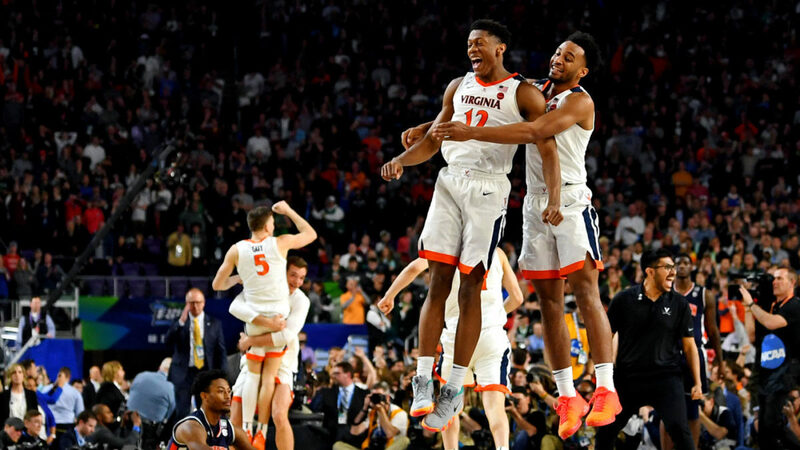 In the national championship game, Virginia beat Texas Tech in overtime with some huge shots down the stretch. Joe’s Perspective: To be honest, as a Spartan fan, I was big-time rooting for Michigan State to win this thing. I was rooting against Virginia. At the end of the day, I have to give them the credit. They hit the big shots and handled the pressure. One missed shot at any level and they were toast. But, they didn’t miss. To win a championship, a team has to make the plays in the moment. Virginia did. The field did not. For an entire year, Virginia had to deal with being the first school that lost to a #16 seed. It was part of their story. They had to own it. One year later, they wrote a new story – one of redemption. This just shows you that we cannot be defined by our past. We can all overcome. We are the authors of our own stories. Congrats Virginia! Your Turn: What are your thoughts on the Virginia turnaround and what this means to for your experience? I didn’t see the Virginia loss last year as incredible. I give credit to UMBC for playing the better game, just as I give credit to Virginia for winning all six of their tournament games this year. The nature of the tournament means that it’s not always the best team that wins each game, but always the best team after 40 minutes. Virginia this year showed that every minute of every game matters, and they stayed true to that in all six games.